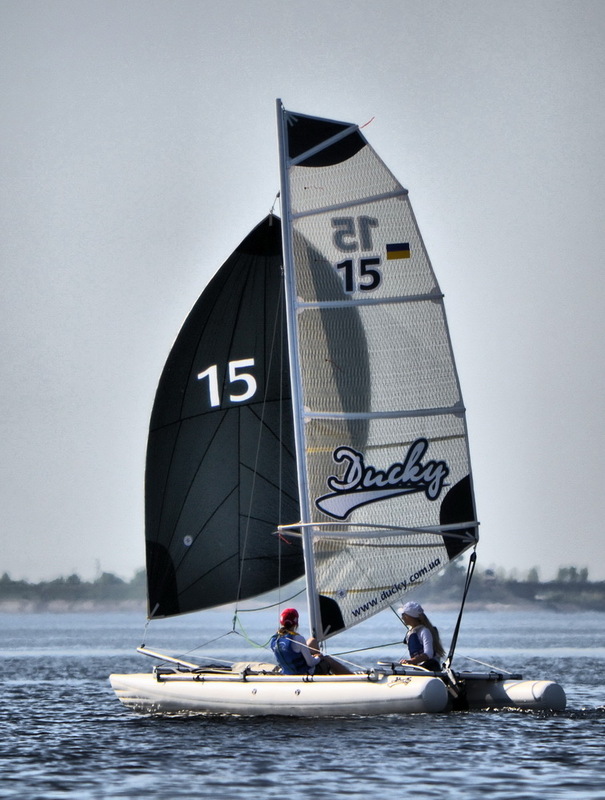 Ducky 15 is the very popular model. 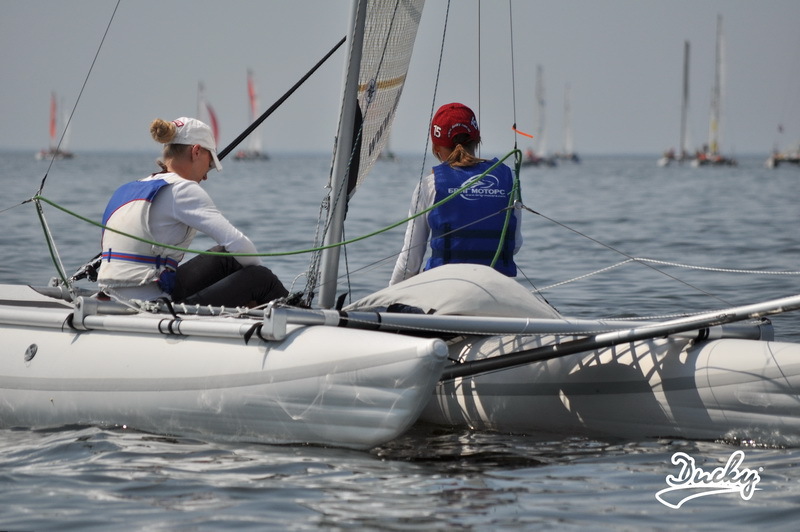 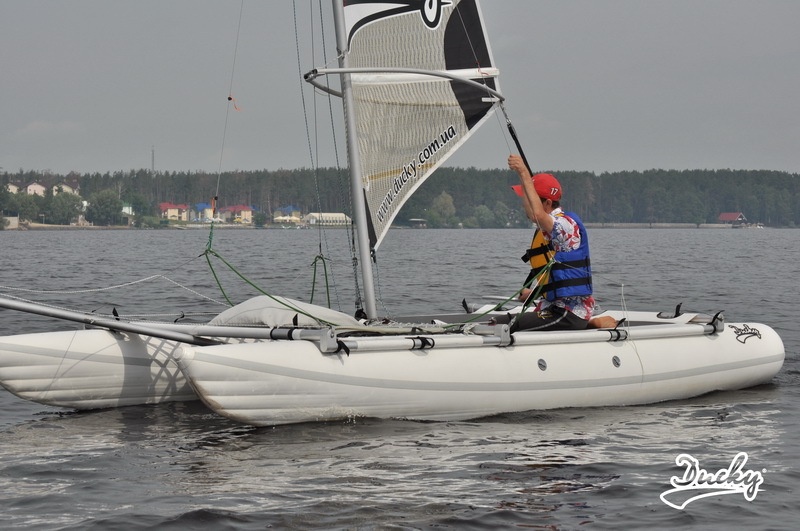 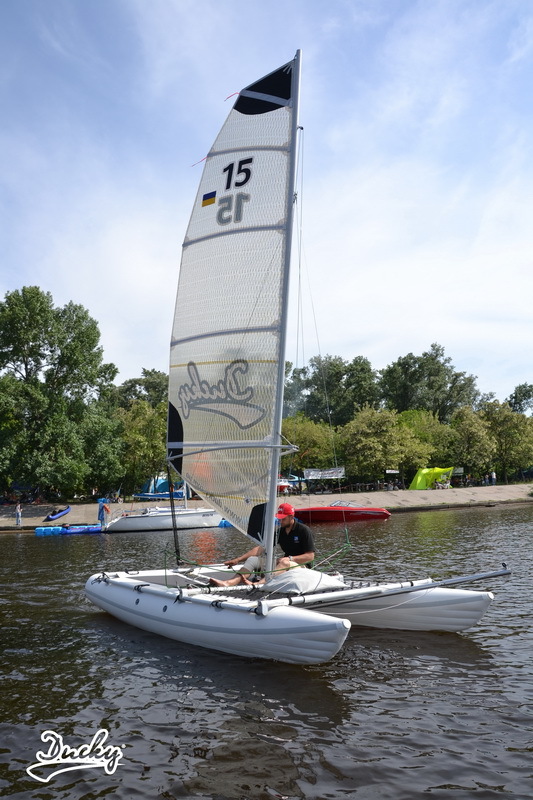 Even a beginner will have no problems controlling this catamaran. 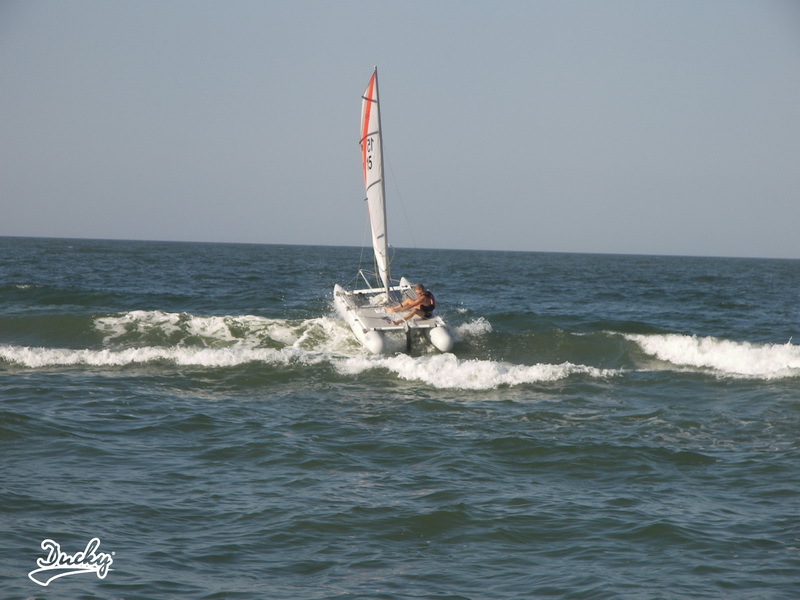 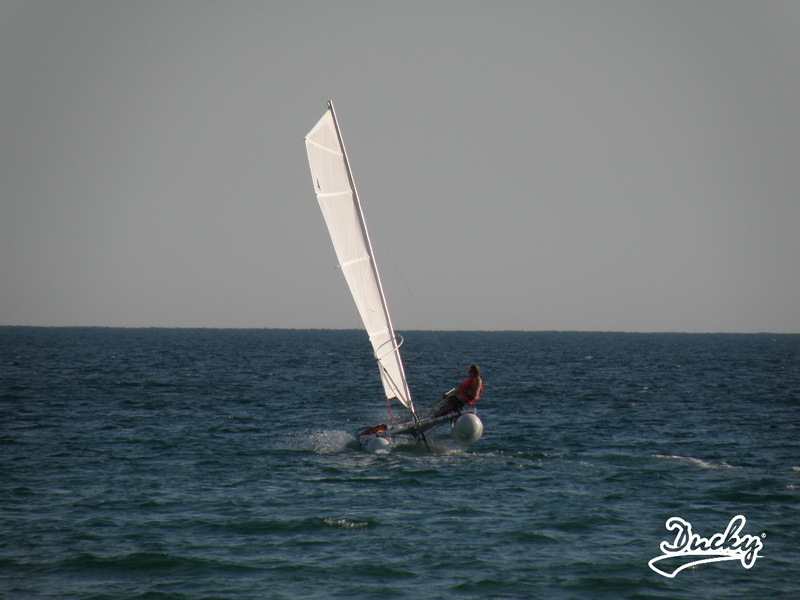 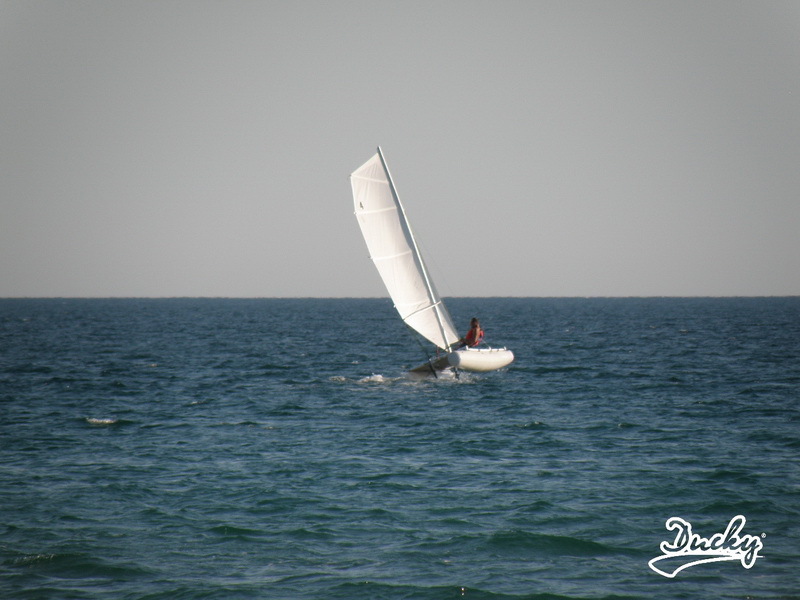 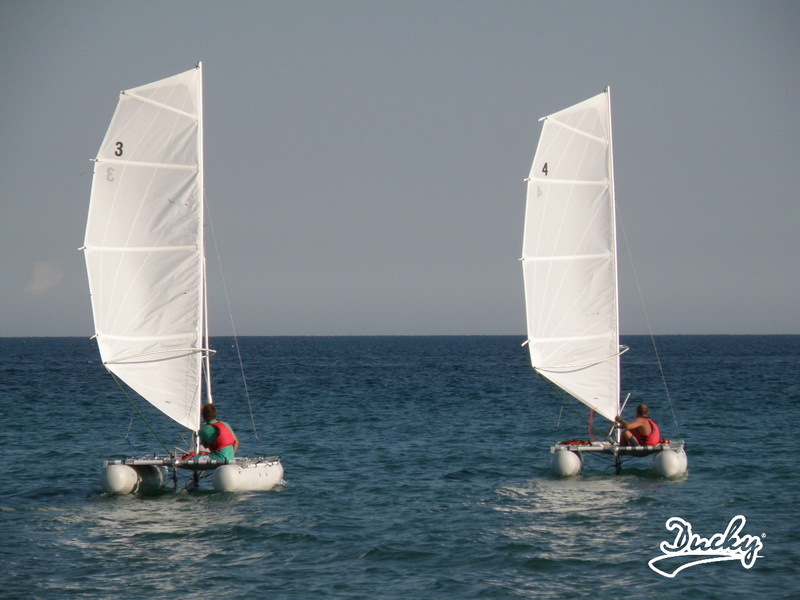 In spite of its small size, this is a full-fledged sailing catamaran which in a fresh wind will deliver a perfect sailing experience and some adrenaline if you would like to. 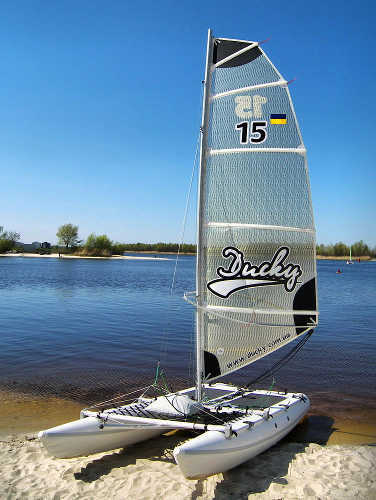 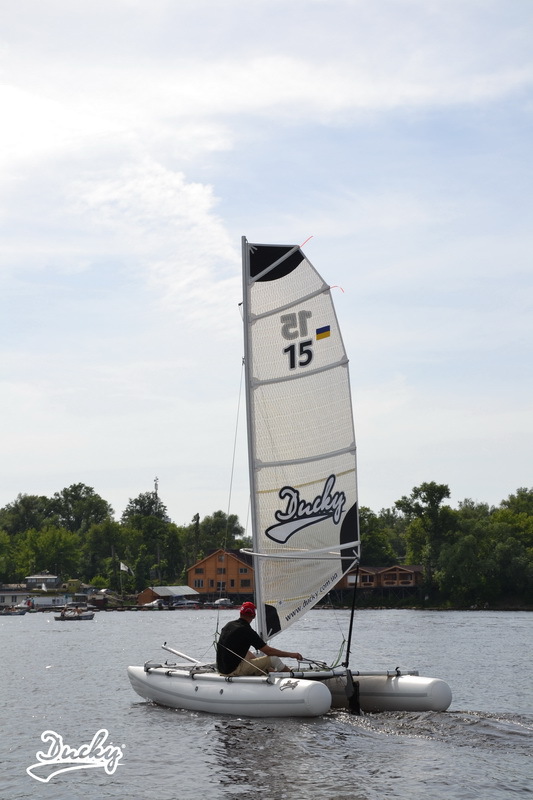 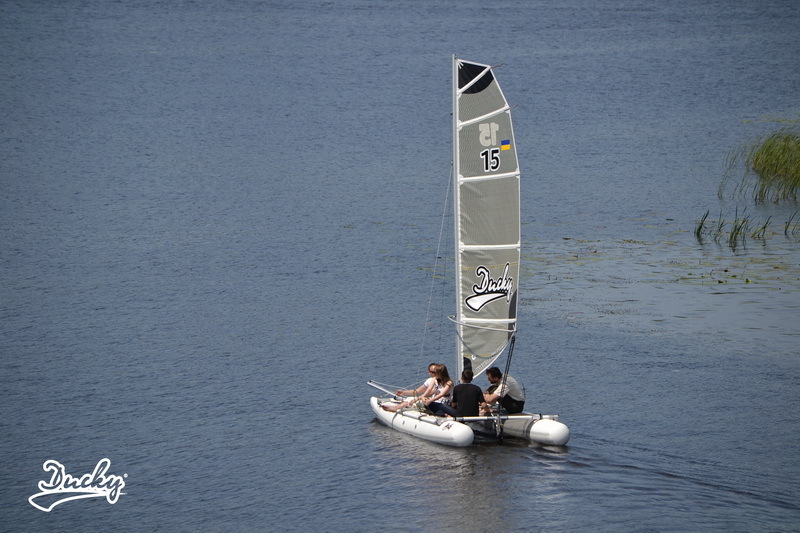 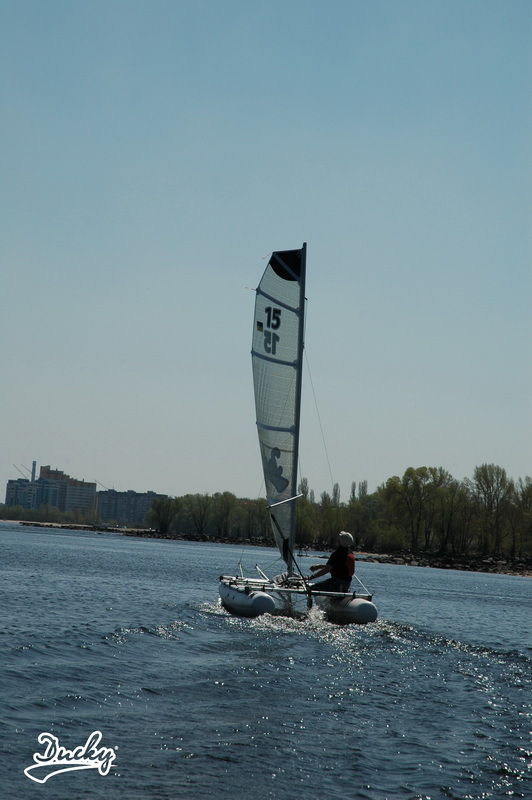 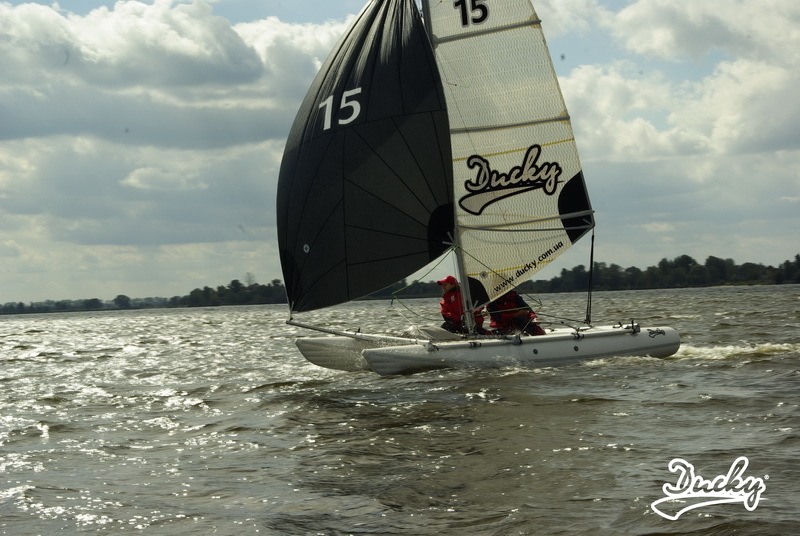 Ducky 15 is easy to control on the water, it is perfectly suited for recreation as well as weekend trips. 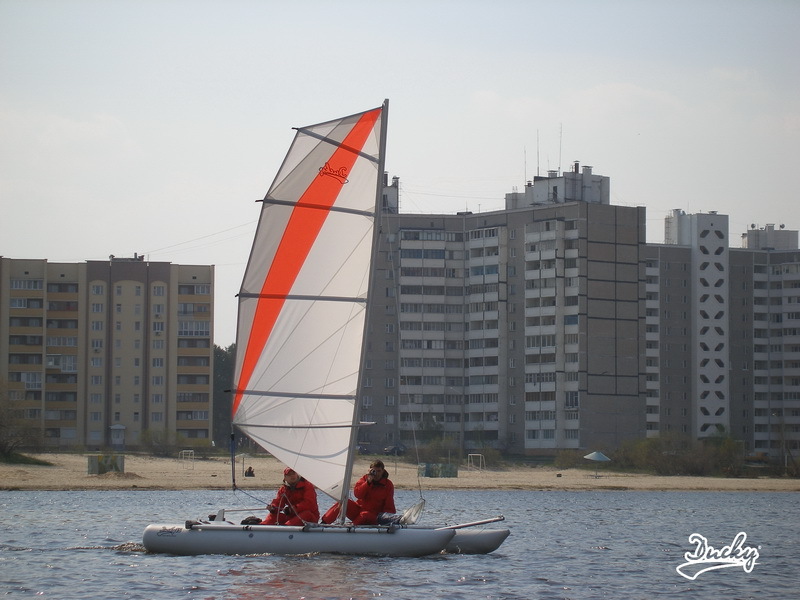 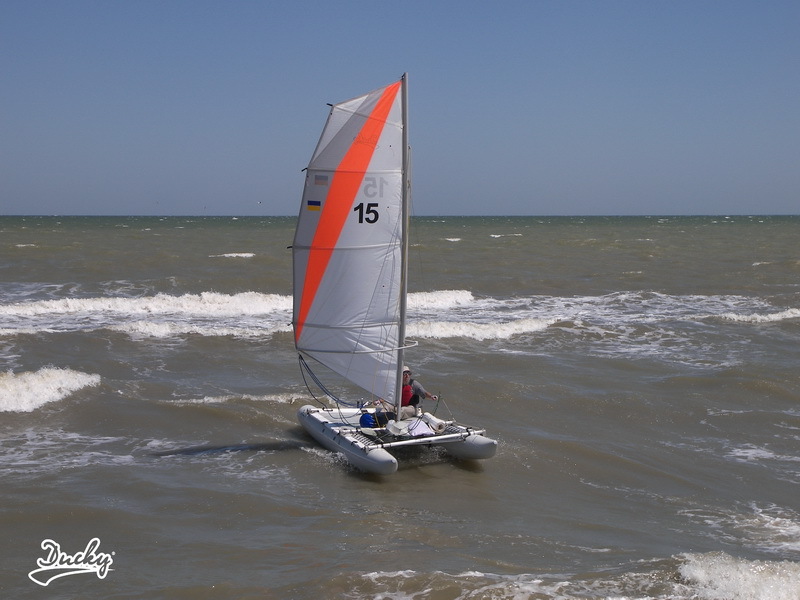 This model can be let-out on the beaches and even with a minimum handling skills people will find this catamaran very easy to control on water. 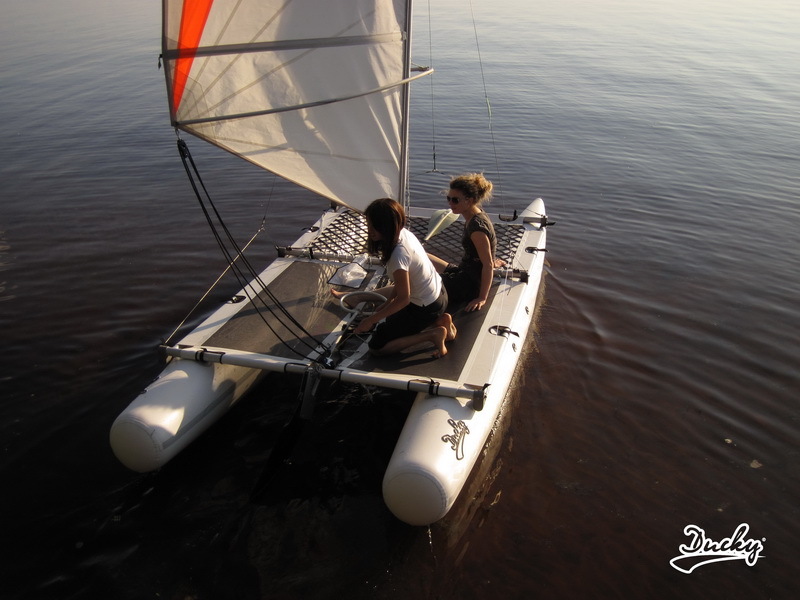 The assembly of this catamaran won’t wear you out when departing for a day cruise. 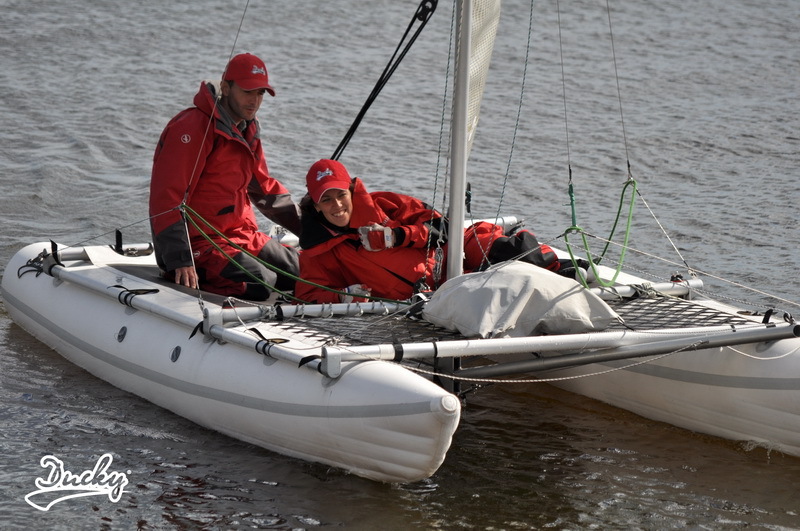 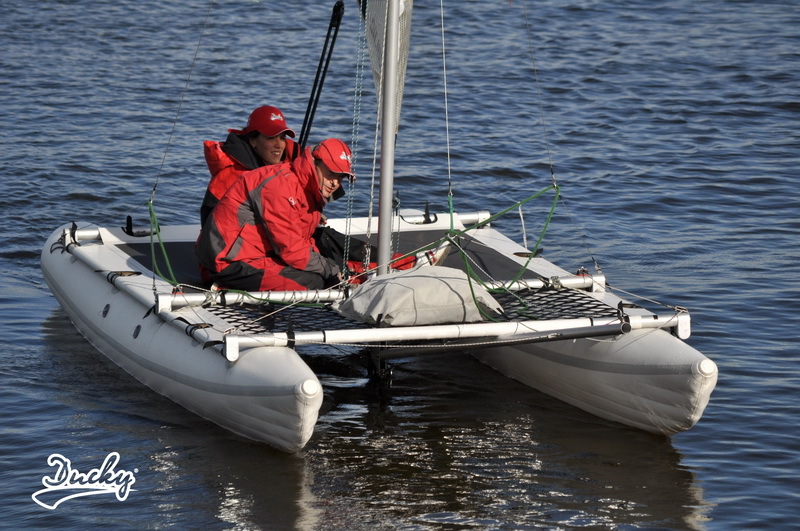 The distinctive feature of this catamaran’s frame is the minimal number of cables and rigid elements which provide the required load-bearing capacity. 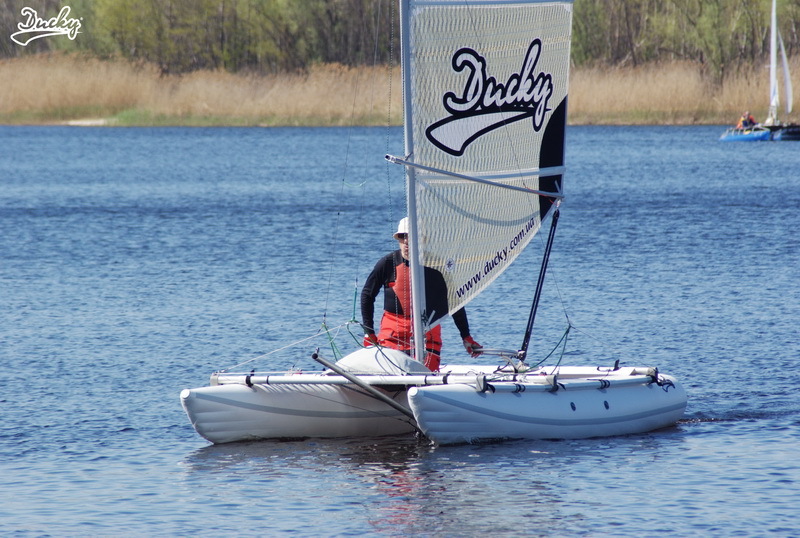 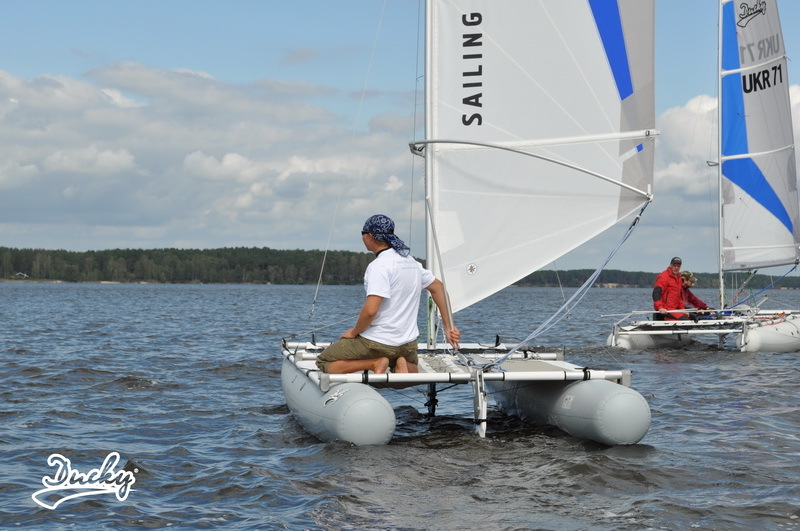 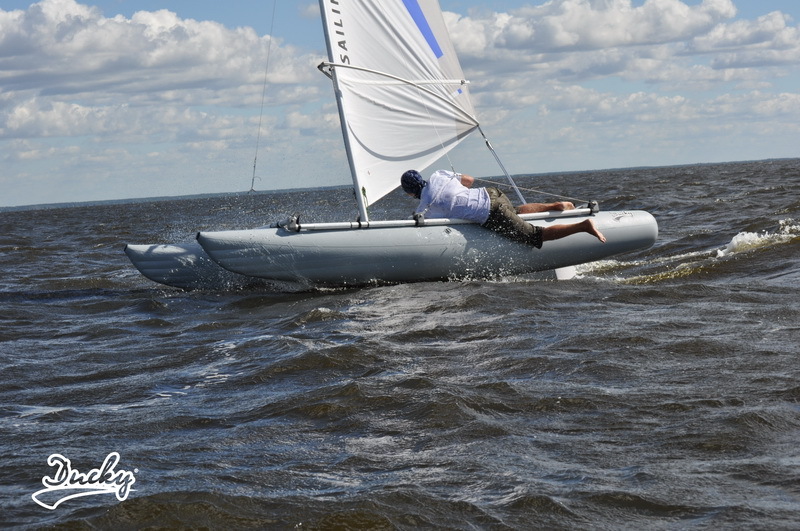 This catamaran has a simple design; Ducky 15 can be assembled in just 45 minutes without a single tool used! 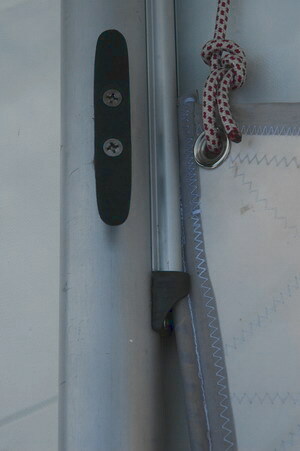 Outboard bracket is aimed for fixing a motor with prolonged part. 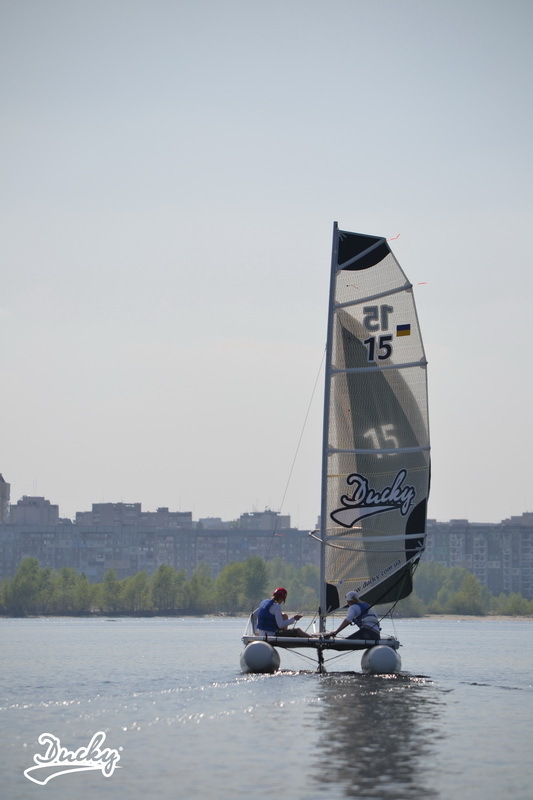 The recommended engine output is 3.0 hp. 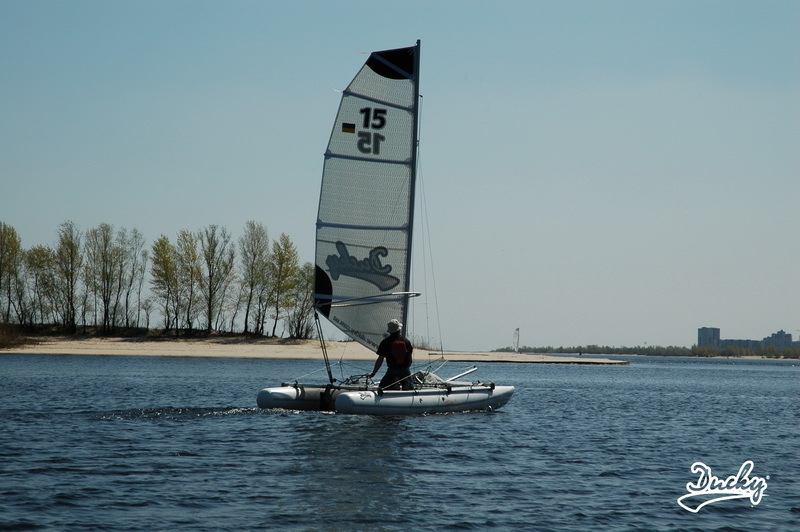 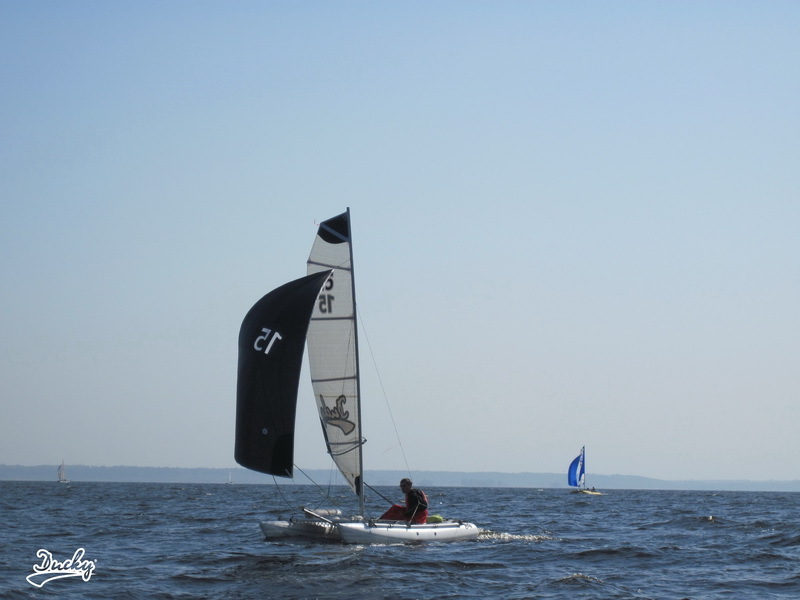 Number on a sail is made of a self-adhesive polyester fabric. 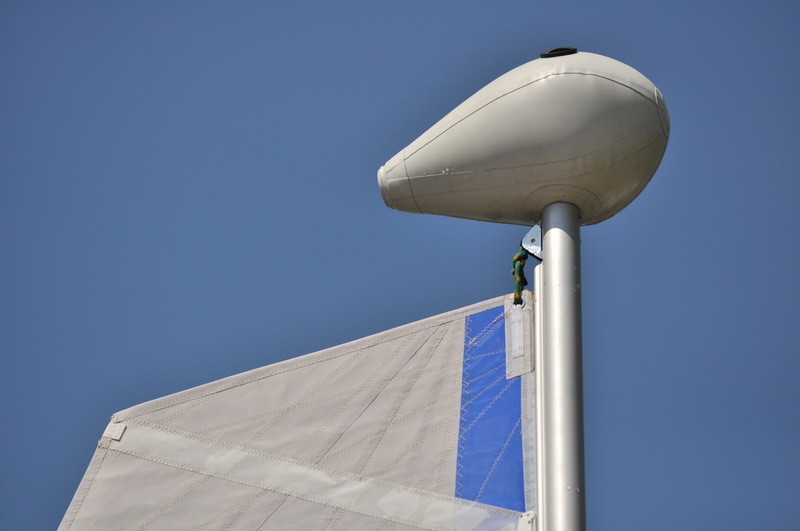 A standard height of symbol is 300 mm. 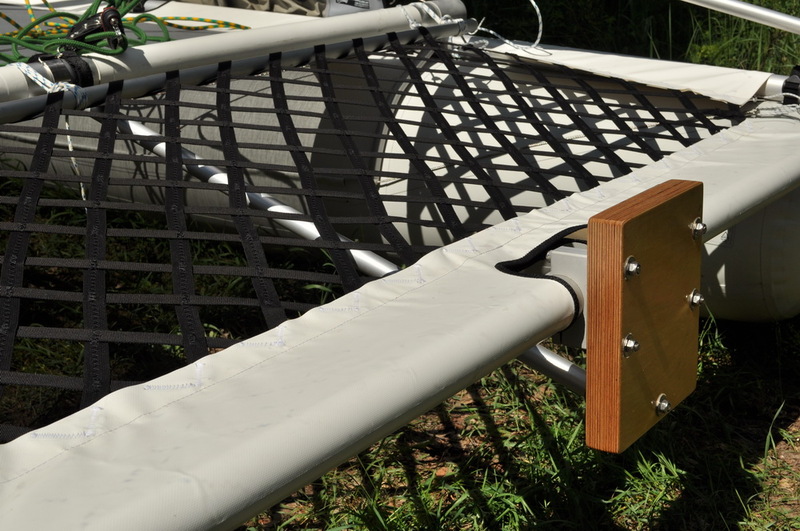 Cost of a single character without gluing is 2 euros, with gluing is 3 euros. 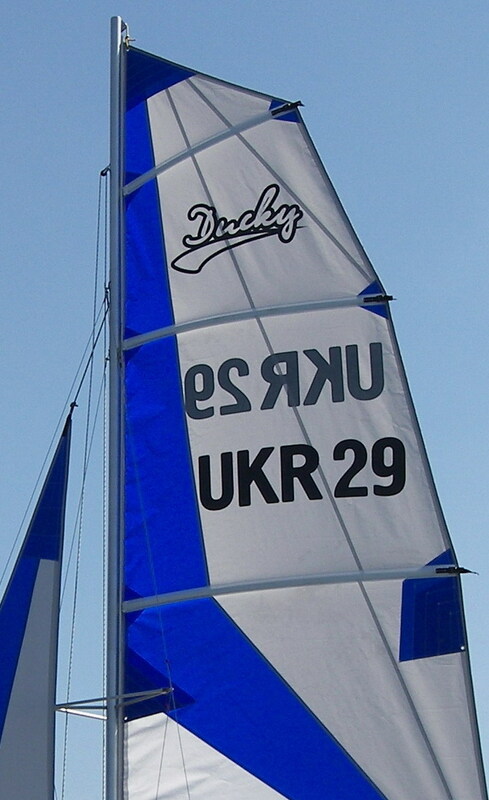 Drawing an individual logo is possible.